Sunday, 14th June 2015 at 2:30pm;	Town Hall, Birmingham. Zimbe! is a 40 minute choral piece by one of Britain’s most exciting composers, Alexander L’Estrange. 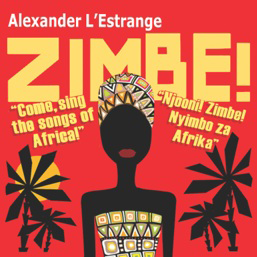 It is an imaginative fusion of traditional African song and jazz in a format that draws together adult and children choirs; the music is accessible, instantly likable and foot tappingly unforgettable! The concert also includes Songs and Sonnets from Shakespeare by the jazz maestro George Shearing, as well as the world premiere of John Barber’s The Rain Queen.